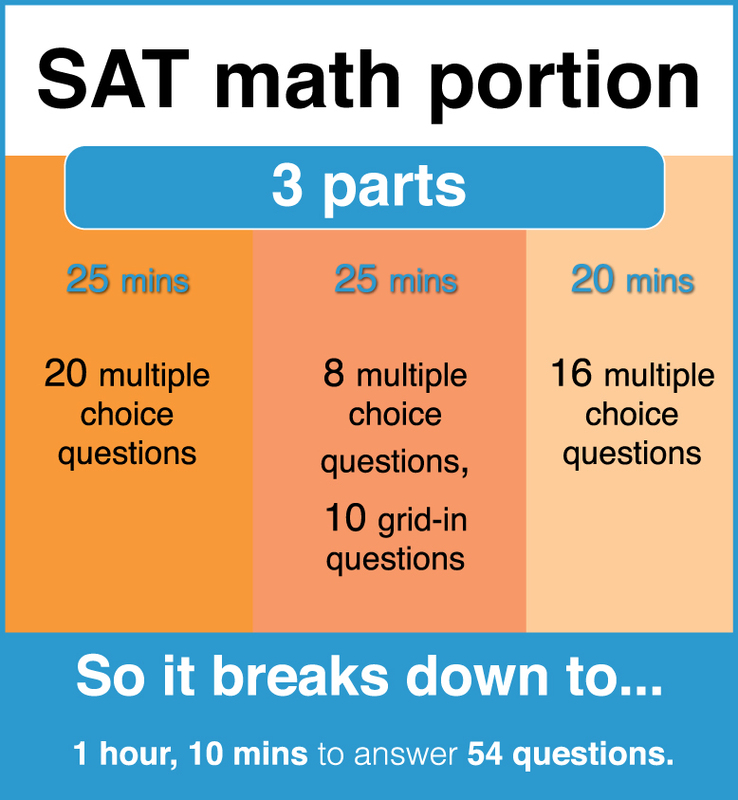 If you’re getting ready to take the SAT…chances are, you’re a little nervous about the math section. And it’s probably just because you’re not really sure what’s coming. Will I have to do calculus? Will I need a protractor? Will I have to use pi??? But like any good warrior–or high school student–knows, half the battle for the SAT exam is knowing what to expect. And this is where I get to help you out! In this article, I’ll go over the general structure of the math portion, the types of math covered on the SAT, and what you can skip studying. What does the math portion look like? But wait one second! What’s a grid-in? Glad you asked. Basically, with multiple choice questions, you work out the problem and then choose an answer that’s already sitting in front of you. But with grid-ins, you work out the problem…write your answer in boxes, and fill in the corresponding bubbles. Sound confusing? It’s really not! Take a look at the test booklet directions below. And that’s all you need to know about the structure of the math portion of the SAT. Easy-peasy, right? What types of math are on the exam? Ahem.What was I talking about again? Oh, right. SAT. Math section. Types of questions. Got it. So the math section has FOUR different types of questions, and I’m listing them here in order of which types of questions are asked the most. Ah, good ole’ Algebra. We all know the drill. 5x=10. y=mx+b. Alphabet soup. Exponents. Quadratic equations! Shapes! Don’t be a square (heh) and make sure you study up on all your circles, triangles, and funky trapezoids! This one is pretty straightforward. I mean, numbers! You know what to do with numbers. Last but not least…make sure you study this one too! Now, this is just really a brief overview, so if you want more in-depth information about the categories you’ll see on the math section, click here. Is there anything I DON’T need?! Fortunately, you’re in luck! The answer is Yes. Want a more detailed descriptions of the things you don’t need? Click here. Well, there you have it. Now you have a better idea on what to expect from the SAT exam! There are three sections on the math portion–two 25 minute sections, one 20 minute section. And there are 54 questions–44 multiple choice, 10 student response. You don’t need to know everything! Avoid studying concepts like imaginary numbers and geometric proof. Can’t get enough math? Are numbers swimming around in your head? 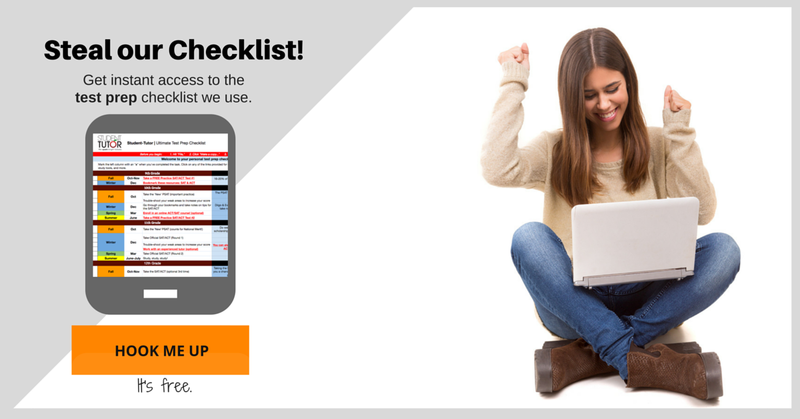 Try out our SAT for Free course! Click here for more information. What kinds of math problems are you most worried about? Do you have any study tricks? Let us know in the comments!